In Flight Simulator, I used the flight simulator tool in Google Earth to ‘perform’ a series of flights over representative areas of Pakistan, Yemen, and Somalia where drone strikes have been confirmed. I wanted to ‘visit’ some of these locations in an attempt to view the landscape through the eyes of a drone pilot. It was through this process that I was allowed to indulge in the meditative quality of flight itself, although I felt that the video element required a physical inhabitant. I chose the bald eagle for this form, incorporating a periodically flashing LED circuit to evoke the running lights of modern aircraft. Both the eagle and the enclosure were laser-cut from acrylic. The result is a sculptural object that prompts the viewer to reconcile the beauty and relative silence of a bird in flight with the potential perversion of nature through the use of technology. Our computer software is modeled on human thought – if not the actual mechanics of consciousness then at least in the way that we have historically recorded, indexed, and utilized information. 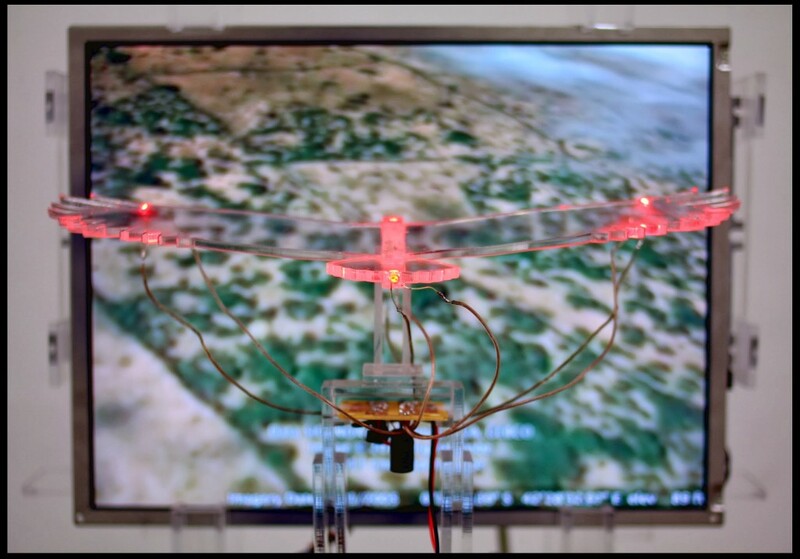 In this project, I am considering the ability to process the aggregate data of thousands of video game participants in near real-time in order to power the decision-making process of evolving automated systems, of which the ‘brain’ of an Unmanned Aerial Vehicle may be only one of many applications. The current iteration of CAPTCHA, the distorted letters one is required to translate in order to prove one is human, is used to digitize unrecognizable words from scanned books that our software is not yet sophisticated enough to understand. What if a similar method could be used, unbeknownst to the average user, as military strategy? Lile Stephens is an installation and new media artist living and working in Chapel Hill, North Carolina. 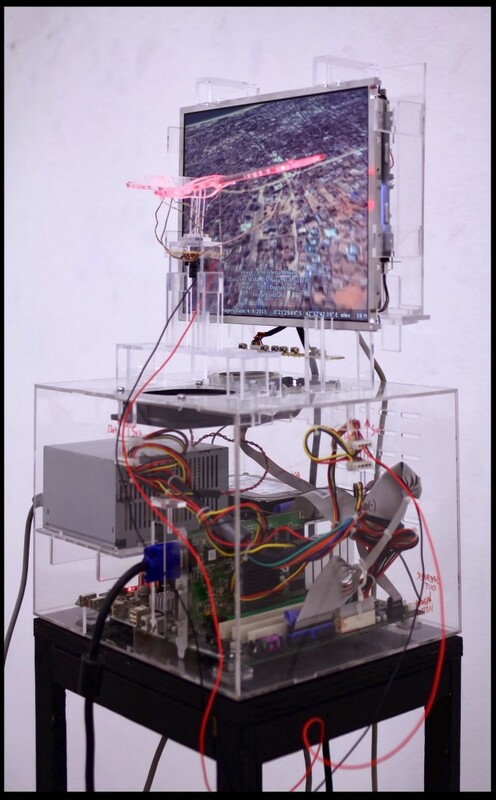 His work investigates the material nature of technology, the social effects of digital culture, and evolving legislation regarding issues of information, privacy, and Intellectual Property. Stephens holds a BFA and MA from Arkansas State University and an MFA from the University of North Carolina at Chapel Hill.